Leadership Circle Members Only. Join today! Join CAM Raleigh's Leadership Circle today to attend a special exhibition preview for Deep Surface: Contemporary Ornament and Pattern on Thursday, September 22. 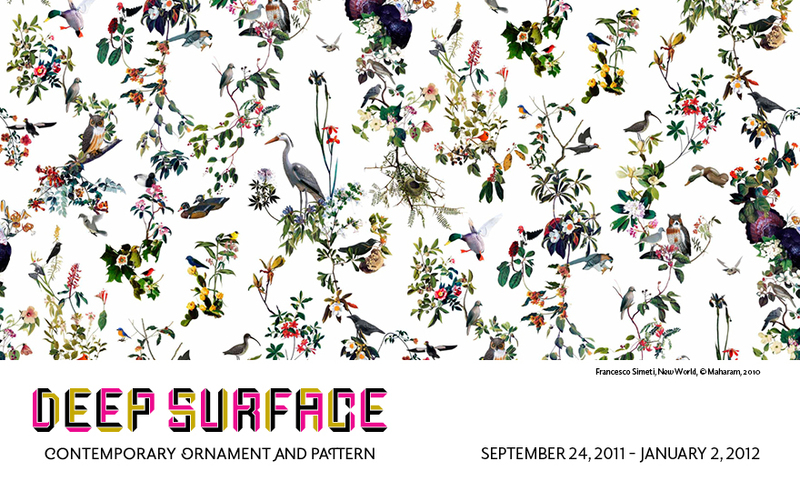 Deep Surface: Contemporary Ornament and Pattern is the first major exhibition to examine the re-emergence of ornament and pattern over the last 15 years -- celebrating its reinvigoration as a communicative, functional, and desirable form of cultural expression. Join CAM Raleigh's Leadership Circle today to attend this special exhibition preview. Read more about the Deep Surface exhibition here.